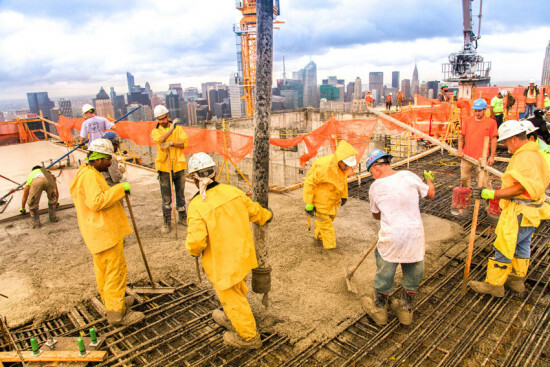 The final bucket of concrete anointed the top of Kohn Pedersen Fox‘s 10 Hudson Yards today. 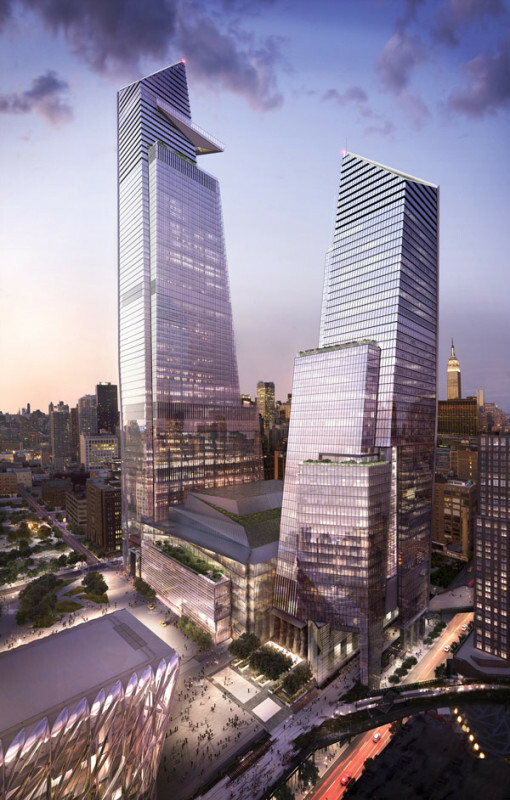 Built to LEED Platinum standards, the 52 story office building, at 30th Street and Tenth Avenue in New York City, is the first of sixteen buildings on the 28 acre site. Unusual among commercial skyscrapers in New York, a concrete superstructure and a concrete shear wall account for 98 percent of the building’s weight. So far, SAP, VaynerMedia, Coach, and L’Oréal, as well as four other undisclosed tenants, will move into the 1.7-million-square-foot tower beginning March 2016. If they leave their desks, workers can enjoy direct access to the High Line from the building, as well as Hudson Yard’s 14 acres of open space. Developers Oxford Properties Group, Related Companies, and Tutor Perini reinforce the building’s luxury branding by noting that its three stormwater tanks can hold 1.3 million grande pumpkin spice lattes.